Ye How in 2010 at the Maddox Chivan Children's Center, cured of TB and thriving. Children and adolescents infected and affected by HIV are frequently out of school, have social and emotional challenges, and lack adequate healthcare. 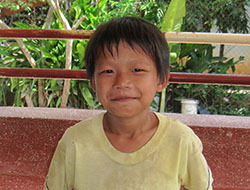 In addition, they are frequently victims of increased hunger and malnutrition, and have an increased susceptibility to abuse and exploitation. 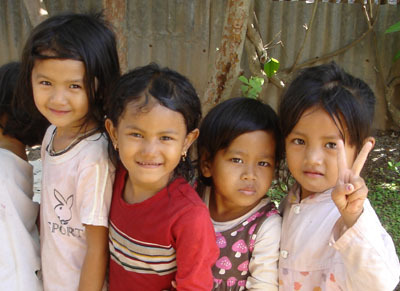 To date, CHC's Maddox Chivan Children's Center (MCCC) in Phnom Penh has offered its unique program of multidisciplinary outpatient and social/educational care to over 3,000 Cambodian children infected or affected by HIV/AIDS, a quarter of whom are HIV+. 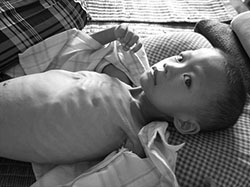 From the outset, in addition to children infected with HIV, the MCCC focused on those children who although not HIV infected themselves were profoundly touched by AIDS—those orphaned or caring for ill parents and who were typically out of school and living in crushing poverty, with inadequate food. The Maddox aims to respond in a comprehensive way to the needs experienced by HIV infected and affected children by offering multidisciplinary care in a day care outpatient setting. This includes general medical treatment for AIDS affected and infected children, antiretroviral and opportunistic treatment for children who need it, HIV counseling and general counseling as needed, provision of a daily nutritious lunch and snacks, educational support, social work, counseling (through art therapy, peer groups, life skills workshops), sports and creative activities, English, computer, etc. The MCCC Social work team provides social support to parents and caregivers. The MCCC program is integrated with the CHC-assisted KFSH pediatric ward and Sullivan outpatient center, which increases its impact to the almost 500 HIV+ children who receive their primary AIDS care there. The social, counseling and integrated approaches pioneered at the Maddox have been offered to these children who have the opportunity to participate in the educational and social programs at the MCCC.